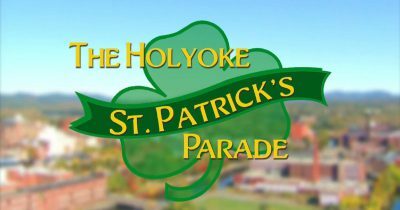 As throngs of people basked in a weekend of warmth and sunshine, the Minutemen Band marched in the 57th Annual Holyoke St. Patrick’s Parade for over 300,000 spectators. 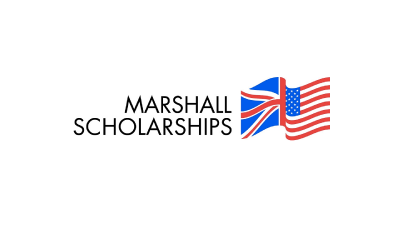 Senior Katie Huston is one of 40 students in the US to be awarded a Marshall Scholarship and is the first UMass Amherst student to be so named in more than 30 years. Competing in mtvU’s best music on-campus Woodie Awards, Alex Schwartz is up for Best Breakthrough College Artist. 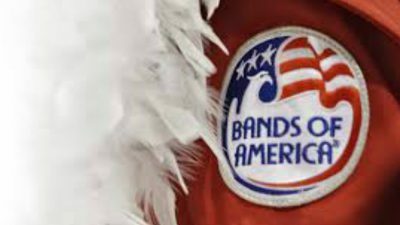 According to band members, there’s no partying, debauchery or infantile shenanigans: Band Camp is all business. 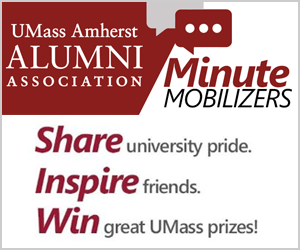 UMass Band director George N. Parks discusses teaching high school musicians the leaderships skills essential to being a drum major with WBUR’s Only A Game. 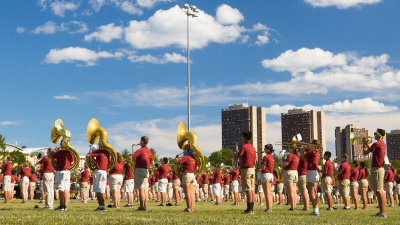 Under the direction of UMass Amherst’s own George N. Parks, a Rose Parade band shows how good it is.